Some background might be helpful. 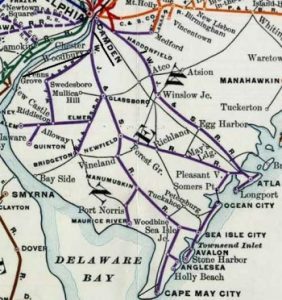 Who doesn’t want to know more about the N.J. Electrified Railroad, 1906-1931? “The Legacy of the Johns Committee” — “Charley Johns didn’t have anything against the University of Florida as such, he wasn’t trying to hurt the University. He was on a mission by gosh that he heard there were homosexuals on the faculty and he was going to get rid of them.” – J. Wayne Reitz, Former University of Florida President. 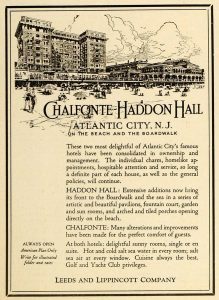 Haddon Hall was one of two Quaker Hotels on North Carolina Ave. and the Boardwalk built soon after the Civil War. Both structures underwent extensive renovations over the years. 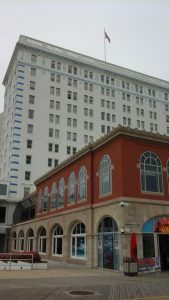 Haddon Hall is currently Resorts Casino Hotel. 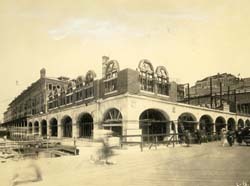 The other, the Chalfonte, was demolished in 1980. More information here. 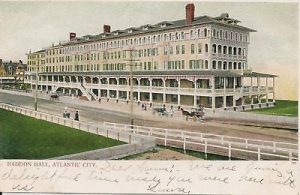 Photos from Atlantic City Boardwalk on my Pinterest. 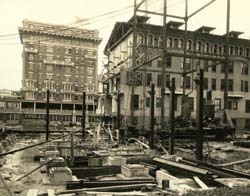 December, 1921, Haddon Hall under construction. Resorts Casino Hotel, Atlantic City, formerly Haddon Hall, my photo, 2015. 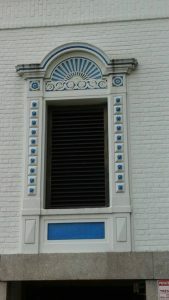 Window detail, Resorts Casino, my photo. 2015. See SJRAIL.com for more information. An overview of suburbanization in the United States, 1830 to 1960, U.S. National Park Service, Department of the Interior. Henry Flagler built two grand hotels in the late 1880s. Both are still in use. 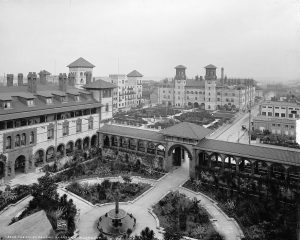 The Ponce de Leon Hotel is home to Flagler College; the Alcazar Hotel is now the Lightner Museum. 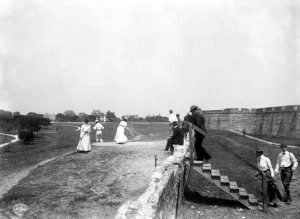 People playing golf by Fort Marion – Saint Augustine, Florida. 1902. Black & white photoprint, 6 x 8 in. State Archives of Florida, Florida Memory. A view from the tower at the Ponce showing the Alcazar and to its left, the Annex, now Casa Monica Resort & Spa, Florida Memory. 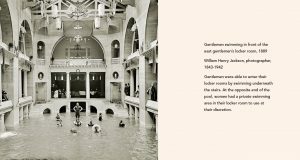 The former Casino Pool, the largest indoor pool in the world at the time, is now the site of the Alcazar Cafe. Sign at the Lightner Museum. 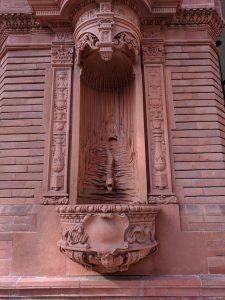 Sculpture beside steps at former Ponce de Leon Hotel Ladies Entrance, now Flagler College. Photo by me. 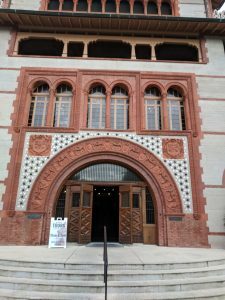 Entrance to Flagler College, formerly know as The Ponce. My photo.